It’s almost that time of year again; cockle season begins at Goolwa Beach from the 1st of November. 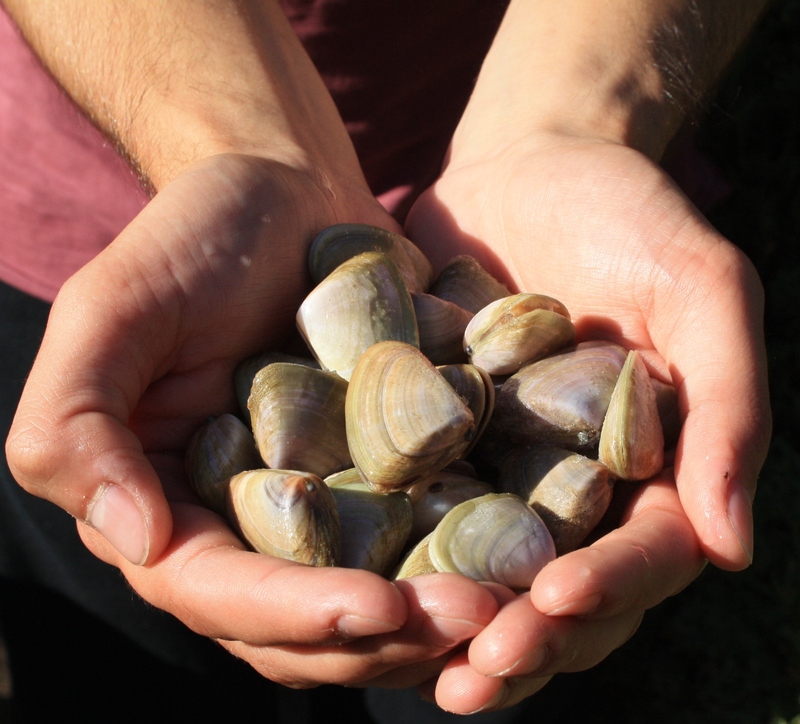 Cockles in South Australia (also known as pipis in the eastern states) are a popular bait for a huge variety of fish species. They can also be used in marinara so I’m told, but it’s hard for me to get my head around them being anything other than bait for something better! Collecting them or “going cockling” is half the fun and a lot less expensive than buying them from bait shops. 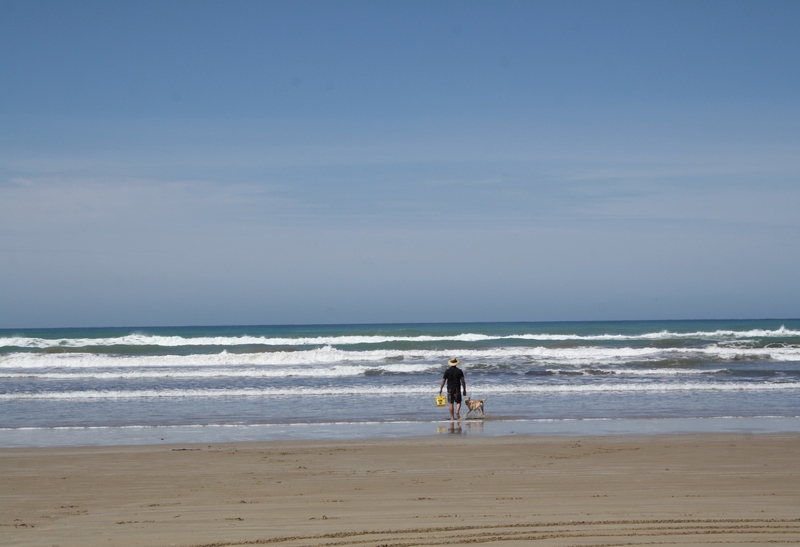 You will need a four wheel drive to get onto the beach at Goolwa with the entry onto the beach at the Goolwa Beach carpark. Here you will also see the regulations and size for keeping cockles. The softest sand you’ll find will be at this on and off section of the beach but sensible driving with your tyres deflated a little will get you through no problems. Then once on the beach it is like driving on a road, in fact this stretch of beach is known as Sir Richard Peninsula and normal road rules apply! 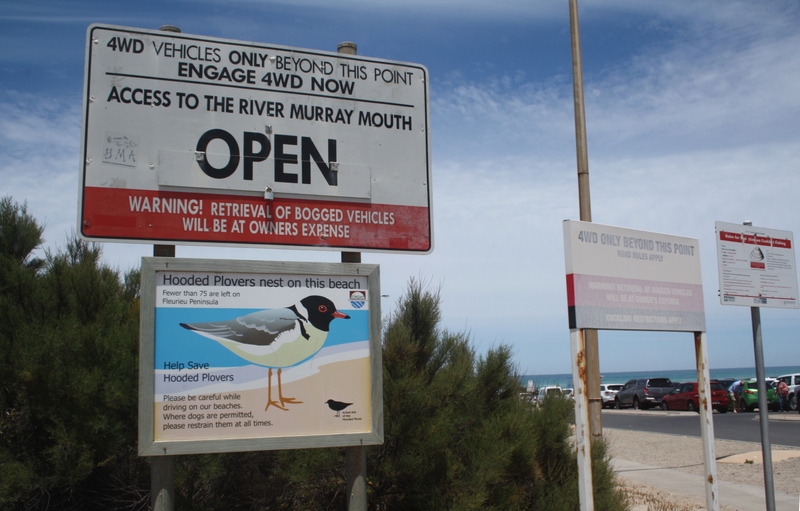 If you follow the beach south for around ten kilometres you will get to the Murray Mouth, where the Murray River makes its way out to sea, but check conditions at the carpark end too, as the signs will let you know whether the track to the mouth is open or not. Sometimes high tides or weather/sand conditions can stop you from being able to get there. The good thing is that you don’t have to venture far along the beach to find a vacant bit of beach to go cockling. Park the car back towards the dunes then take a bucket, ruler or cockle measure and you’re set. One word of warning though you will get wet! No matter how many times I’ve said to myself I will just paddle in the shallow water as it comes in there is always one wave that comes in quicker and further than you were expecting and you are soaked. So best thing is to wear either bathers or shorts and just be prepared for the odd surprising splash. So to the business of collecting the cockles. Wade out into the water, you only need to be at the very edge of the wash and as the tide goes out you will see the cockles tumbling back out with it. Alternatively if you dig you toes into the sand and do the ‘cockle shuffle’, twisting from side to side you will feel them underfoot and you just reach in and scoop them up. There is nothing that can harm you from the cockles and kids will love twisting away too. Once you’ve collected them remember to measure for legal size. The minimum legal length is 3.5cm across the widest part of the shell and the daily bag limit per person is 300. Of course check all of these details at the beginning of every season to make sure they are still the same. Once you’ve collected enough, the cockles can be bagged and frozen to be used for bait whenever you need it. Using cockles as fresh bait is always the best as they are tougher and stay on the hook longer but frozen cockles still do the job and we’ve caught plenty of whiting, flathead, garfish and more on defrosted cockles.